Dr. Harrington, a native Texan, received B.A. and B.S. degrees from Texas A&M University and pursued a Master’s degree at Stanford University before receiving his Doctorate in Medicine from the University of Tennessee College of Medicine. He then served a rotating internship at Letterman General Hospital in San Francisco and a residency in Ophthalmology at Scott and White Hospital before completing a fellowship in Ophthalmic Plastic and Reconstructive Surgery at The University of California Medical Center in San Francisco. 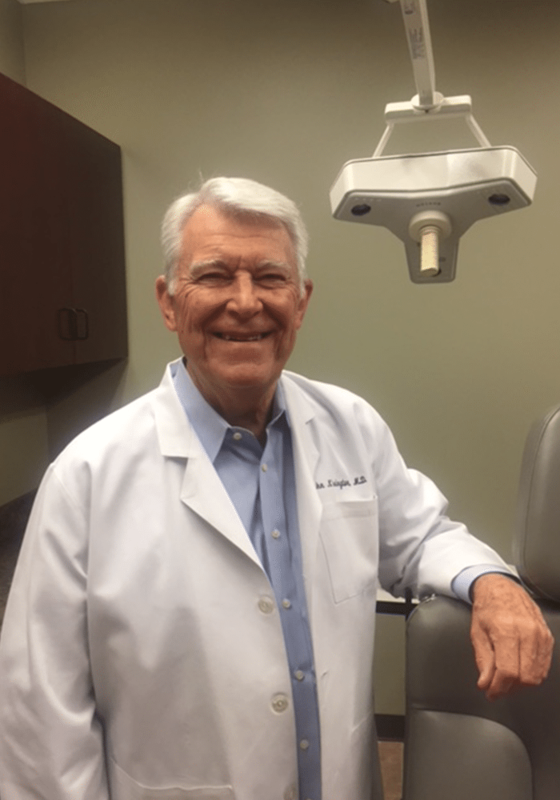 After serving with the U.S. Army Medical Corps in Vietnam where he was awarded the Bronze Star, Dr. Harrington established his private practice in 1974, becoming the first fully-trained Ophthalmic Plastic Surgeon in Dallas and co-founding Texas Ophthalmic Plastic and Reconstructive Surgery Associates. Dr. Harrington is Clinical Professor Emeritus of Ophthalmology at the University of Texas Southwestern Medical Center where he was awarded the Outstanding Clinical Participation Award, and served as Director of Ophthalmic Plastic and Reconstructive Surgery at Baylor University Medical Center in Dallas where he also teaches resident physicians. He is also Adjunct Professor of Oculoplastic Surgery at Texas A&M College of Medicine. Board certified in Ophthalmology, Dr. Harrington is a Fellow of the American Society of Ophthalmic Plastic and Reconstructive Surgery, serving as president of that organization as well as representing it in the House of Delegates of the American Medical Association for over twenty years. Dr. Harrington is also a member of the European Society of Ophthalmic Plastic and Reconstructive Surgery, a Life Fellow of the American College of Surgeons and has been a fellow of the American Academy of Facial Plastic and Reconstructive Surgery. He has served as President of the Dallas Academy of Ophthalmology. He was awarded the prestigious Honor Award and Seniors Achievement Award of the American Academy of Ophthalmology. Dr. Harrington, the author of numerous articles in leading medical journals and the contributor to several textbooks and online reference journals on various topics related to ophthalmic plastic and reconstructive surgery, has also served on the editorial board of the journal, Ophthalmic Plastic and Reconstructive Surgery. He has lectured nationally and internationally in the field of Ophthalmic Plastic and Reconstructive Surgery. Dr. Harrington has been listed in The Best Doctors in America by Woodward/White Publications since 1996 and has also been recognized as one of The Top Doctors in Dallas by D Magazine, and America’s Top Ophthalmologists. Dr. Harrington is listed in Who’s Who in Medicine and Health Care, Who’s Who in Education, Who’s Who in Science and Engineering as well as The Best Doctors in Education. He also received the Albert Nelson Marquis Lifetime Achievement Award. Dr. Harrington has participated in Project Orbis, a non-profit organization teaching ophthalmic plastic surgery to physicians in third world countries. 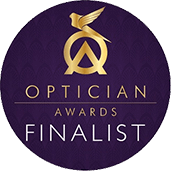 Dr. Harrington is a member of the Order of St. John, an ancient chivalrous organization supporting eyes care in the Middle East. A member of the High School All-American Swimming Team and the NCAA Coaches All-American Swimming Team in college, Dr. Harrington has an active interest in sports and has served as a team physician for the NHL Dallas Stars and the NBA Dallas Mavericks and has worked with the medical staff of the NFL Dallas Cowboys.